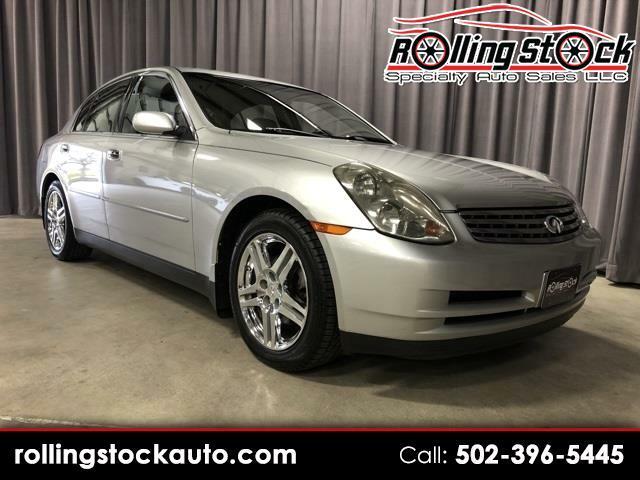 2004 Infiniti G35- Local 1 Owner, Clean Carfax Report with Documented Service History and Ultra Low Mileage, Factory Options Include Trunk Mat with Full Spare, Premium Package, Upgraded Radio Package, Power Glass Sunroof, Dual Zone Temp Control, Reclining Seat Backs, Drivers Seat Memory. Garage Kept, Non Smoker with Rare Factory Polished/Chrome Wheel Package. They Don't Come Any Nicer or Newer Than This One. All Service Up To Date and Ready for A New Home. Contact Cary Donovan 502-396-5445 to Schedule Your Appointment To See This One On Display at My Louisville Indoor Showroom.